As a former collegiate athlete and strength & conditioning coach at Whitworth University, I know what it takes to reach the next level of competition. Playing two years as catcher for the Pirates was not just luck, but relied on a dedicated practice keeping me healthy and in the game. I want to share that practice and coach our new generation of athletes to become the strongest versions of themselves. One of the easiest ways to stay out of the athletic training room and on the field is to make sure that you have proper range of motion, joint stability and strength needed for your sport. 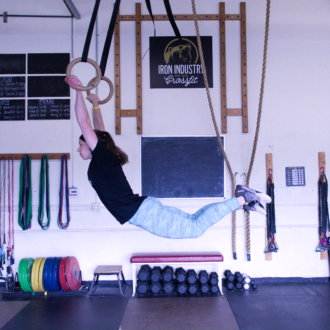 The Resilient Athlete program begins with teaching proper movement mechanics and metabolic conditioning to help athletes reduce risk of injury and progresses into strength & SAQ training. Athletes will not only be stronger and faster, but also better prepared to handle the volume and stress that they will encounter in select teams and college athletics. Click the link above to see a sample week!